Craving slow-smoked Bar-B-Q while you’re on the go? We don’t blame ya – it’s the best stuff in town! So we made it easy to get your fix, To-Go. Just come down the road to get you some homemade breakfast on your way to work, a po-boy to take back to the office for lunch, or a delicious Bar-B-Q dinner packed with all the fixin’s to take home to feed the whole family. Our friendly staff will make sure you can be in and out with your order lickety-split! Got a meeting, conference or special event? Real Texas Bar-B-Q will keep ’em all full and happy. 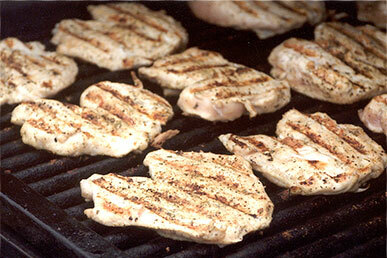 Just give us a call, and we’ll pack up our heaping helpin’s of meat and all the fixin’s and bring it all right to ya. 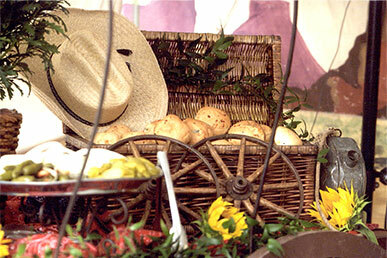 Our friendly drivers will deliver and can even set everything up buffet-style in disposable tins to make cleanup a snap! View our Delivery Menus and more information. 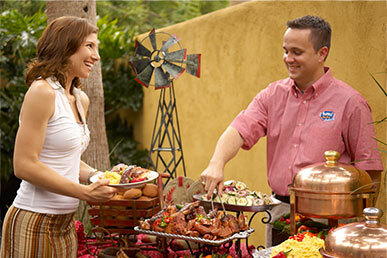 When you’re feeding a crowd, you can bet your britches the party’s gonna be better with slow-smoked Bar-B-Q. 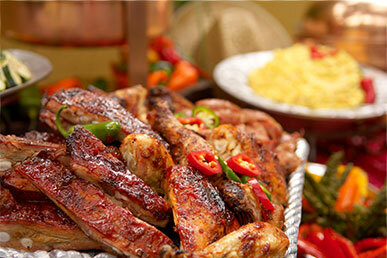 And Pappas Bar-B-Q Catering can put the whole shebang together for you. 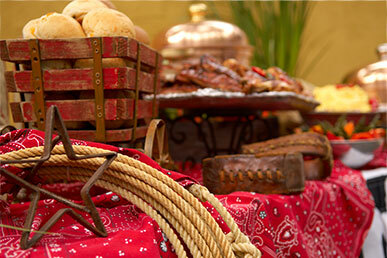 We specialize in buffet service offering smoked meats, homemade sides, fresh-baked rolls and fresh-from-the-oven desserts, whether it’s for a wedding, company picnic or large family gathering. We’d be just thrilled to plan every detail of your event and coordinate any combination of services you need. Heck, we can help you select everything from the buffet menu and beverages to décor and entertainment. 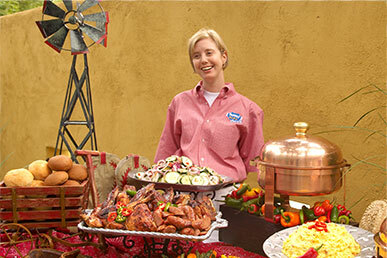 Sure ’nuff, our mouthwatering Bar-B-Q plus warm Texas hospitality will make for a memorable event! And boy, oh boy, wouldn’t you know? Buffet staff is already part of the menu price! 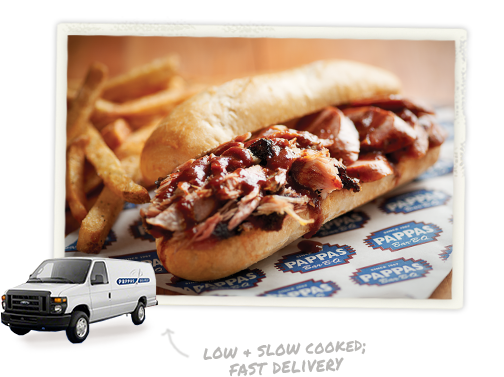 For full-service Catering Menus & more information on Pappas Bar-B-Q Catering, click here.